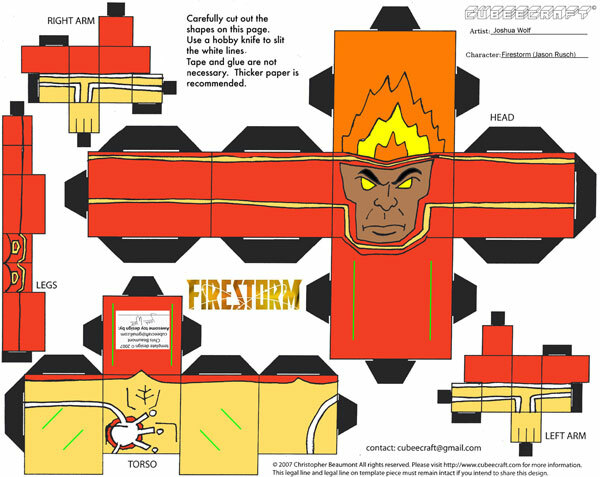 A while back we looked at a Firestorm Cubee created by Joshua Wolf. Today we’re looking at a few more of these adorable, do-it-yourself folks. 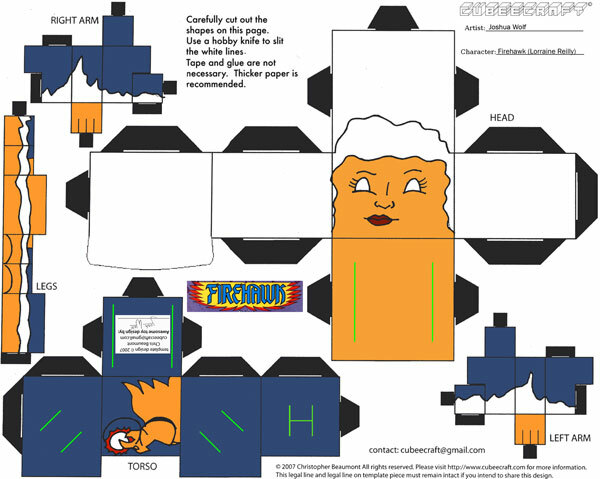 They are called Cubees and are made entirely from folded paper; no tape or glue necessary! I haven’t assembled these particular ones yet, but here are the patterns. First up you’ll find Jason Rusch as Firestorm. Click here to download a full-size version on deviantART. 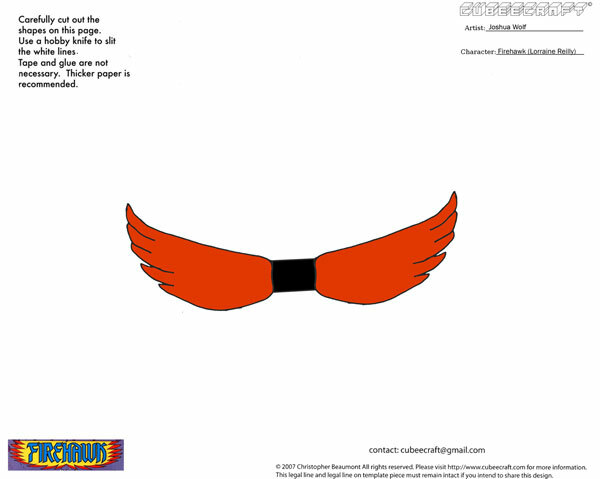 Next up is a two-part Firehawk cubee, with her fiery wings on the second page. Click here to download a full-size version on deviantART. 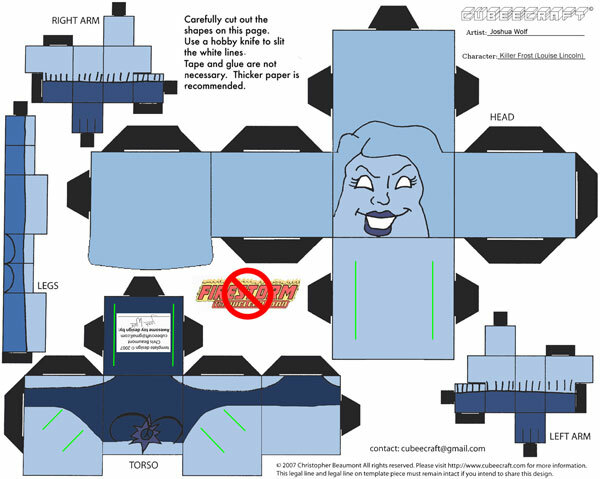 Finally, here is a Killer Frost cubee. I love the red circle through the Firestorm logo! Click here to download a full-size version on deviantART. Support Firestorm! Fan the flame! Posted in: Firehawk, Firestorm #07: Jason post-Infinite Crisis, Killer Frost, Toys. @Joshua – I love your work! I look forward to seeing DCnU Firestorms cubees!